WorkGold plate with stone & ruby. 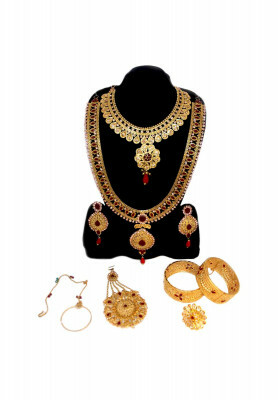 Full gold plated Cheap Bridal Jewelry Set, including sita, choker, jhapta, tickly, necklets, chur, ear ring, finger ring. Comes with great Gold plate, ad stone, ruby. 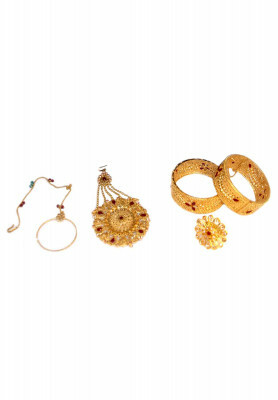 The bride doesn't need anything else than this set for total bridal makeover. Very affordable too.